Want to be a hot pink plus size fairy or plus size angel this Halloween? With this dress and accessory kit, you will have everything you'll need! Choose your dress in either hot pink or black crush velvet, with big long bell sleeves in either white or hot pink. The dress is nice & long at 53"/54", but available longer or shorter as a special order! 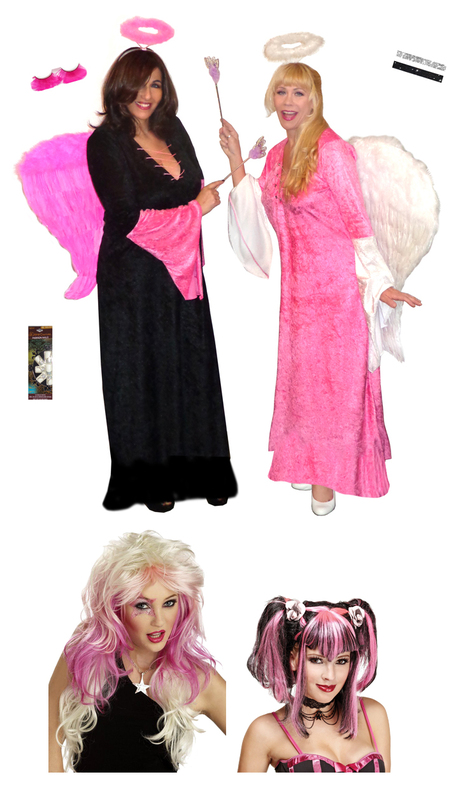 You can add white feather wings in either 18", 24" or 36", or pink feather wings in 24"
For the wig, you can add either a beautiful; white & hot pink long wig, or hot pink & black fairy wig.